I have been told that there is a problem with the domain name of WATS that could possibly cause WATS's closing. I am working to find a solution with InvisionPower and the other party that will allow WATS to continue. Thank you. I am so terribly sorry that this has possibly come to the closing of the site. If WATS does close, then word will be sent out ASAP about whether or not a new site will be made. If you want me to contact you about that, please send me your email. Good news! The domain name of WATS will change, which means the URL will change, but that will be all. I will probably take down the blue background and change it to something without any mention Way Above Top Secret on it, and I'll also take out the WATS name for any of the boards, but the only thing that will change will be the URL and name of the site. If you guys have any ideas, please post them here, and also, look for a bulk email once the name has been decided. Good news! The domain name of WATS will change, which means the URL will change, but that will be all. I will probably take down the blue background and change it to something without Way Above Top Secret on it, and I'll also take out the WATS name for any of the boards, but the only thing that will change will be the URL and name of the site. If you guys have any ideas, please post them here, and also, look for a bulk email once the name has been decided. Thank you, both of you. 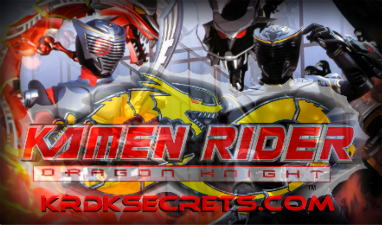 I believe that CHiCA and I have decided on krdksecrets.com. I'll fly you two an email when I've changed it. Sound kinda cool...yeah, I like the new name. E-mail me when you change it, okay? No problem. Glad you like it! We didn't get much input, so I'm going to end up sending a bulk email with the new name. Everyone, spread the word, okay? I'm limited to Fanfiction.net and email. Get the news out to Facebook, Twitter, Myspace, Youtube, everywhere! The name is now being changed, guys. See you on krdksecrets.com! Wow...just found out about this from CHiCA. Thank goodness everything's okay. This is why i need to find more spare time to check all of the forums I frequent and my email. I'm also an author over at Fanfiction.net so I'll add the update to my bio over there for any of my readers who either visit here or have not yet had the chance to find this place. (known as Toku Warrior over there). Thanks, guys! And welcome back!